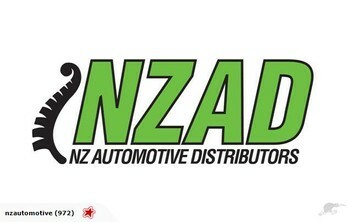 New Zealand Automotive Distributors is an online automotive parts outlet servicing the whole of the country. We are New Zealand owned and operated. We source our parts from local wholesalers, engineers and overseas manufacturers and pass the savings on to you. *Big Brake Upgrades for all American and Australian cars. We use our parts on our friends, families and our own cars so you can trust you are buying top quality parts. Darren is very helpful and accommodating. Went well beyond the norm to have goods delivered to me. Much appreciated! Will definitely deal with him again, thanks heaps. Darren was fantastic to deal with. Great prices quick postage, and good communication. He even had an alternator in stock that our local mechanic couldn't find. So highly recommend to all! Great service received, extremely quick shipping. The slotted brake rotors and pads i purchased are noticeably better than the standard ones on the car. Definitely recommend Darren and NZAD to others. astonished at the level of service offed by this company. product was delivered long before i was expecting it and of exceptional quality, very impressed.